Following her retirement from Labasa Hospital as a cook in March this year Jotivini Diroqo has another opening to continue earning money. 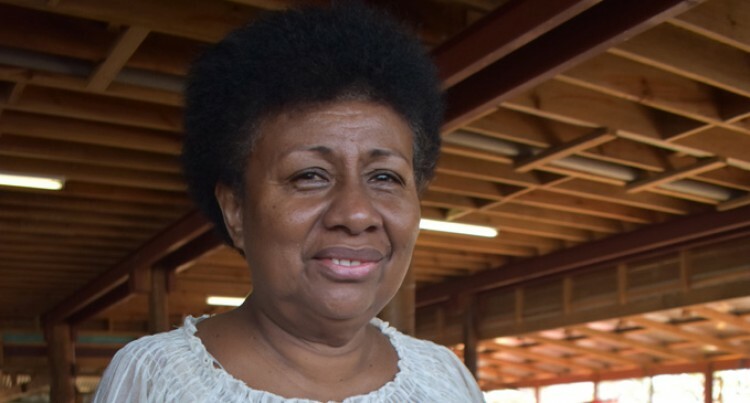 She is now a market vendor at the Labasa Market. The 55-year-old mother of two children and five grandchildren buys fruits and vegetables from suppliers every morning from Mondays to Saturdays to sell from her table. Originally from Udu Point, Macuata Province and currently residing at Siberia, Labasa, Mrs Diroqo said she was able to earn more or equal income compared to her previous earnings. “Being the owner of my own business is an awesome feeling,” Mrs Diroqo said. “I used to get $206 per week as a cook and being as a vendor I now earn more than $206 in one week. She studied till Year 11 at Bulileka Sanatan College in Labasa and worked as a cook for 14 years. “Currently, we are facing dry weather and it has been like this for over a month now,” she said. “This situation has affected the supply of green vegetables and hence, the prices have increased. “My advice to those who are retired to keep themselves busy so that we remain healthy. “When I come to the market I feel happy meeting new people who they come to my table to buy fruits and vegetables.